And nearly twelve years ago motorcyclists retraced the Lewis and Clark trail. It was the summer of 2002 and in August about 500 Harley-Davidson riders completed a 2-week journey from St. Charles, Missouri to Seaside, OR while re-tracing the path of the historic Lewis and Clark Expedition. 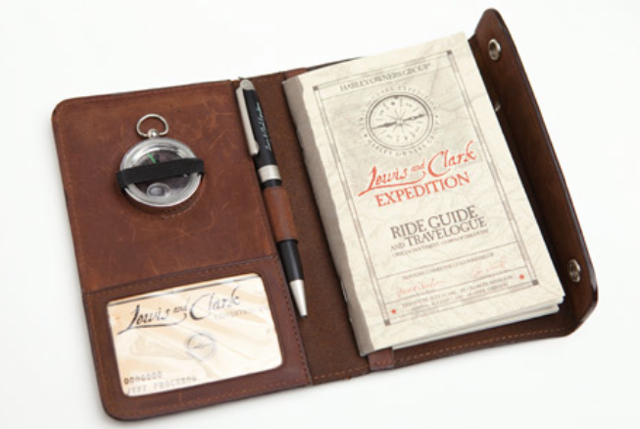 The ride was hosted by HOG and on this trip it included events dealing with Lewis and Clark history as well as they handed out medallions along the way, echoing the gesture of the “peace medals” distributed by Lewis and Clark and their Corps of Discovery on the original expedition. 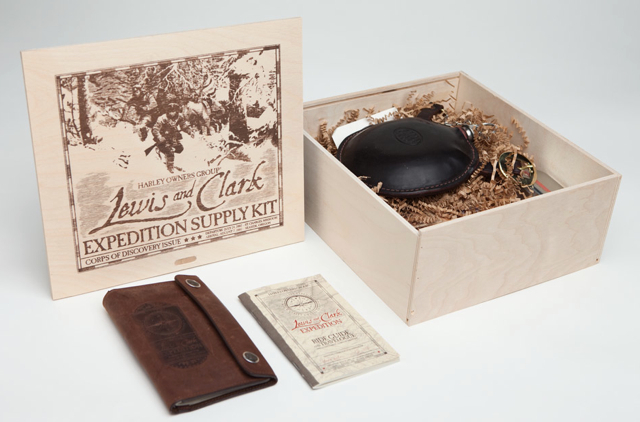 HOG provided riders an “Expedition Supply Kit,” a package of “swag” which included a canteen, a leather wallet and a travelogue notepad. Riders visited sites in Kansas City, MO; Sioux City, Iowa; Pierre, SD; Bismarck, ND; Billings, MT and Lewiston, Idaho. I couldn’t agree more. There is no substitute for seeing the countryside on a motorcycle. Anyone out there participate on this ride?